The Albiceleste side suffered an embarrassing 3-1 loss to Venezuela on Friday night as the start of the Copa America approaches. 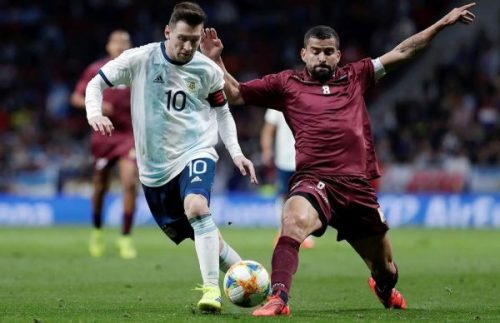 It was the match of the return for Lionel Messi with the Argentinian national team but surely not the one anyone expected. Messi picked up a groin injury during the match and will not be able to feature for Scaloni’s side against Morocco on Tuesday. Messi still played the full 90 minutes despite the injury, one which was confirmed by the Argentine federation at the end of the match. 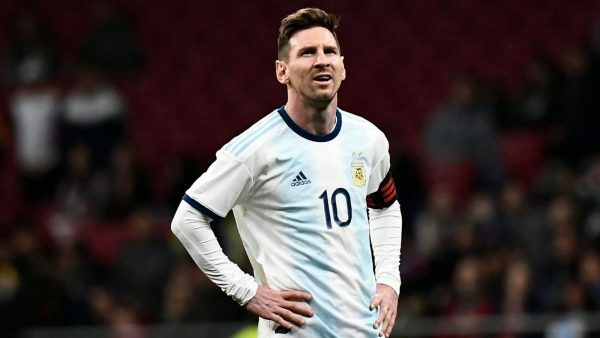 In a statement, the Albiceleste federation confirmed Messi will return to Barcelona for further tests as the national team continue their preparations for the match on Tuesday. Gonzalo Martinez has also been ruled out for Tuesday after suffering a thigh injury on Friday night as well. La Albiceleste were stunned by Venezuela in the first half with two goals from Salomon Rondon and former Benfica man Jhon Murillo. Lautaro Martinez’s 59th-minute goal was not enough as the Vinotinto side grabbed another 16 minutes later with a penalty scored by Josef Martinez. Argentina suffered a 3-1 loss to Venezuela. This was not the first time Messi had problems with his groin, having missed out on international duty due to a similar injury back in 2016 and 2017 as well. For sure, the Barcelona fans will be hoping their captain has nothing serious that will keep him out of action for long and that he can be back scoring goals for the Blaugrana soon enough. This season, Messi has netted 39 goals in 36 matches across all competitions at club level and will be hoping himself and the rest of the team can achieve the treble at the end of the campaign. The Blaugrana side do have a whole week before their next La Liga appointment as they face city rivals Espanyol at the Camp Nou on Saturday and will be hoping Messi can recover in time. In the eventuality that the iconic number 10 forward is out for the La Liga side, the goalscoring responsibility will fall on Uruguayan striker Luis Suarez who is currently on 21 goals in 38 appearances this season.